Hackney North MP Diane Abbott is said to have attended last night’s meeting. 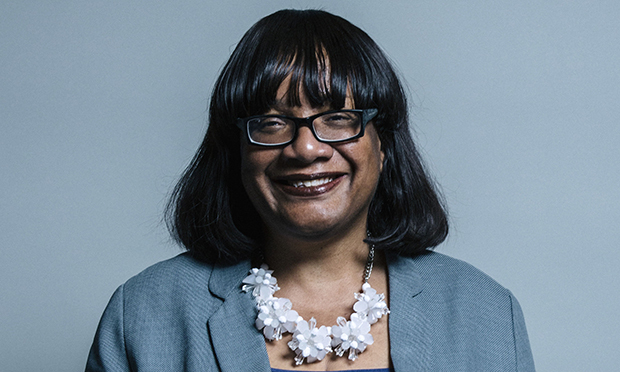 Shadow home secretary Diane Abbott’s local party is at the centre of a social media storm after it passed a motion last night “rejecting accusations of institutional racism” within Labour. The party has come under more intense scrutiny over anti-semitism in recent weeks following the resignation of Jewish MP Luciana Berger and the suspension of Derby North MP Chris Williamson, who was filmed saying Labour has been “too apologetic” on the issue. It calls on Labour’s National Executive Committee (NEC) to “release a statement firmly rejecting the accusation that Labour is in any way ‘institutionally racist’, making it clear that Labour and its current leader have a proud record of fighting racism and will continue to do so”. The text of the motion was shared on Twitter by former Hackney councillor and chair of Springfield Labour Patrick Moûle, who called it an “utter disgrace” and added: “Jewish members bravely spoke up and their lived experience was ignored and denied. Walthamstow’s Labour MP Stella Creasy reacted by urging the party’s general secretary Jennie Formby to investigate “for the sake of all”. This is motion is heartbreaking. Our movement has a proud history of Jewish Socialist and fighting antisemitism. It’s a history we’re sadly forsaking. Young Labour’s Jewish chair Miriam Mirwitch described the motion as “heartbreaking”. She said: “Our movement has a proud history of Jewish Socialist and fighting antisemitism. It’s a history we’re sadly forsaking. A number of people on Twitter have claimed that Diane Abbott was present at last night’s meeting but did not join in the discussions over the motion. Abbott has been approached for comment but had not responded at time of writing. The motion argues that the “accusation of institutional anti-semitism in the Labour Party is asserted as a fact, despite data released by the Party which show a 0.08 per cent incidence of anti-semitic behaviour by party members over the last ten months”. Formby revealed in January that the party has investigated 673 alleged cases of anti-semitism since April 2018. This led to the expulsions of 12 members, and the suspensions of 96 others. The statistics have been questioned by critics of Labour’s handling of anti-semitism cases, including MP Margaret Hodge, who says she alone has submitted over 200 allegations which she claims are connected to people within the party. Others have also asked why the figures only date back to April, which the party has responded to by saying there was no “comprehensive system for recording and processing cases of anti-semitism” before that. Hackney Mayor Philip Glanville told the Citizen: “We must listen, reflect and be clear it is utterly unacceptable to dismiss the concerns of those that feel the Party is not doing enough to tackle these issues. “Like any other group of people facing discrimination, Jewish people should have their experience of that discrimination acknowledged not denied. “We need swift action against those who are anti-semitic wherever this occurs and whoever they are, alongside far more solidarity with those who face abuse. “Nationally the Labour Party has acknowledged there is a problem with anti-semitism within the Party. Local Conservative councillor Harvey Odze, who is Jewish, said: “The fact that this motion was tabled, discussed and passed, despite speeches from local Jewish members, some of whom were in tears, is in itself confirmation of the institutional racism within today’s Labour Party. Hackney Green Party spokesman Samir Jeraj said: “Antisemitism is a problem across the UK, and something that regularly happens in Stamford Hill, where I used to live. “Nearly every membership organisation faces problems with members who hold bigoted views, and we must all do better to tackle it. 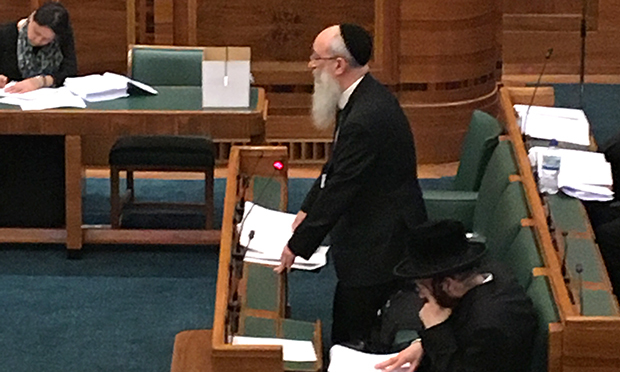 Liberal Democrat and former Hackney councillor Ian Sharer added: “With such a large Jewish community in Hackney North, it is tremendously disappointing that this motion has been passed by the Labour Party. “For a long time now people in their own party have been coming forward telling them there is a big problem, their own MPs are leaving because of it, to deny there is an issue is ridiculous and actually proves the opposite. “If they don’t admit they have a problem they can’t take the necessary steps to solve it. “I have so far noticed that Diane Abbott, who was at the meeting has not commented on this yet. “The Jewish Community in her constituency have always been very supportive of her. Hackney North Labour has been approached for comment.